You know your Dad's the best! 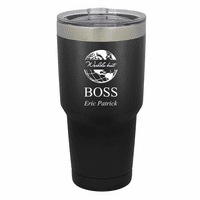 Show him with this black matte stainless steel 64 oz. growler for his favorite beverage! It has double-wall construction, is BPA- and lead-free, and has a swing top lid with a handle for attaching to a clip. Dad will be thrilled with the World's Best Dad artwork and his name, engraved on the front of the growler. 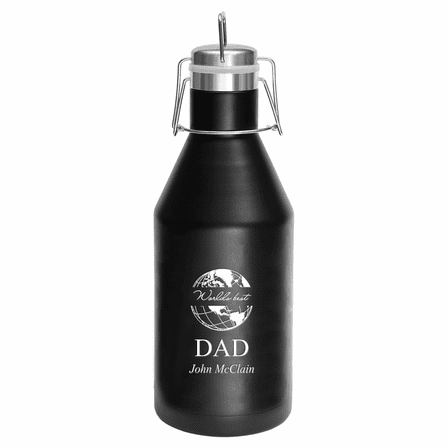 Personalization is free, and the growler comes packaged in a gift box, ready to surprise Dad for any special occasion!